135 #LawtonPS students will sport new pairs of shoes thanks to a donation from Comanche County Memorial Hospital's Surgical Services Branch! The team hosted a shoe drive where they asked each department in the hospital to donate at least 10 pairs of new tennis shoes. 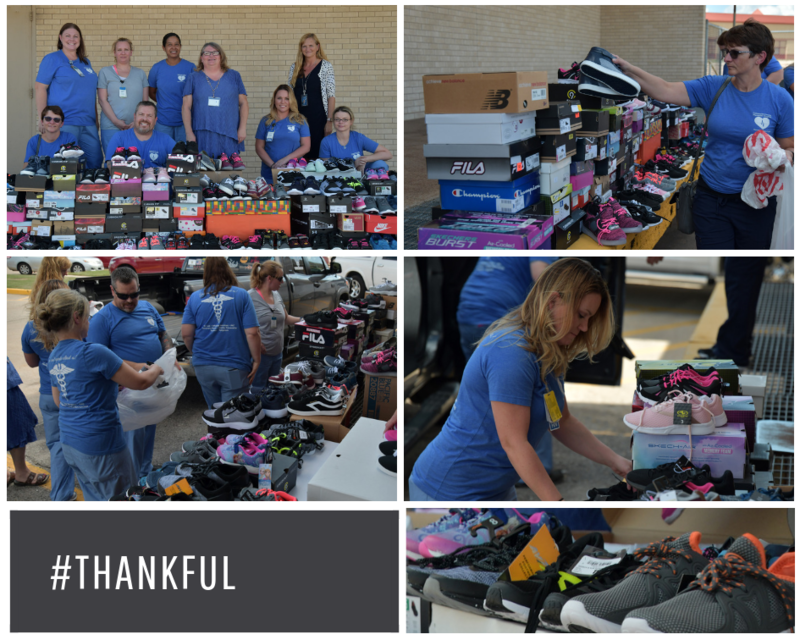 Melissa Alvillar, surgical services manager at CCMH, showed up with her team to deliver the shoes personally earlier this week. She said they try to do a few projects like this a year, but this is the first time they have collaborated with Lawton Public Schools. Andrea Winstead, district liaison for McKinney-Vento and Foster Care Education, said "it was a pleasant surprise when the hospital reached out to offer the donation." Winstead says the shoes are being processed by her department, and they will go either directly to children identified as in need or will be kept on hand at the schools for when a future need arises. The shoes are expected to be fully distributed by October 15th.